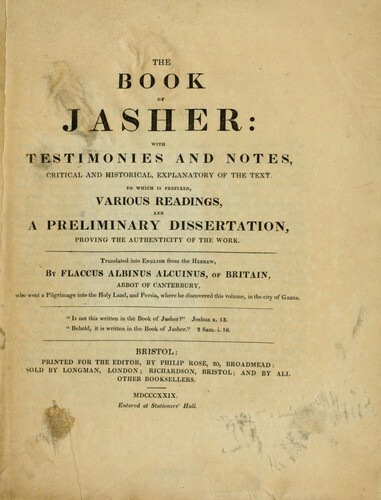 3 editions of The Book of Jasher found in the catalog. Add another edition? Are you sure you want to remove The Book of Jasher from your list? with testimonies and notes, critical and historical, explanatory of the text. To which is prefixed, various readings, and a preliminary dissertation, proving the authenticity of the work. 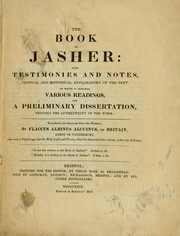 Published 1829 by Printed for the editor, by P. Rose in Bristol . Sefer ha-yashar (Quasi-historical work). English. January 29, 2009 Created by ImportBot Initial record created, from Internet Archive item record.